Home owners looking for a more natural looking, solid and robust entrance to their property often prefer wooden gates and a close boarded wooden electric gate can provide complete security for your property. 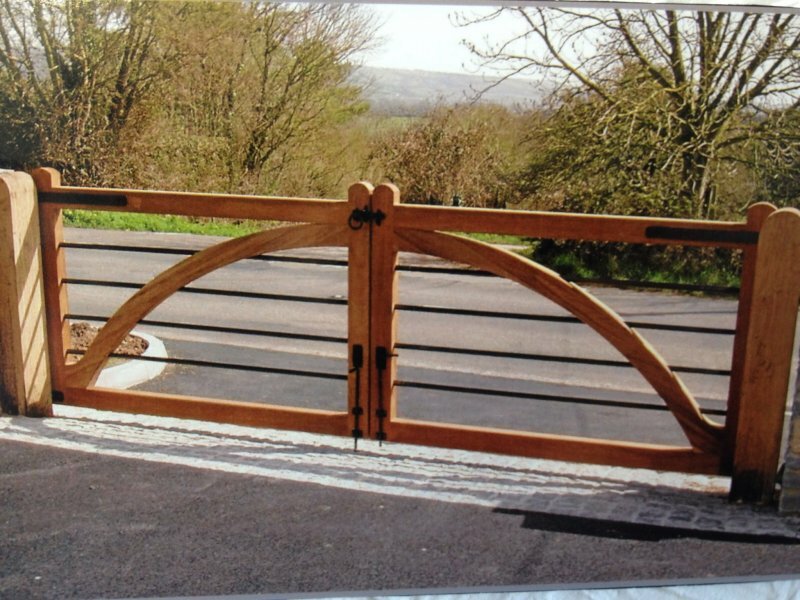 Although wooden gates require more maintenance than wrought iron gates and there is also the risk of warping or the wood splitting, this is only due to the nature of the material and the impact of the natural elements. 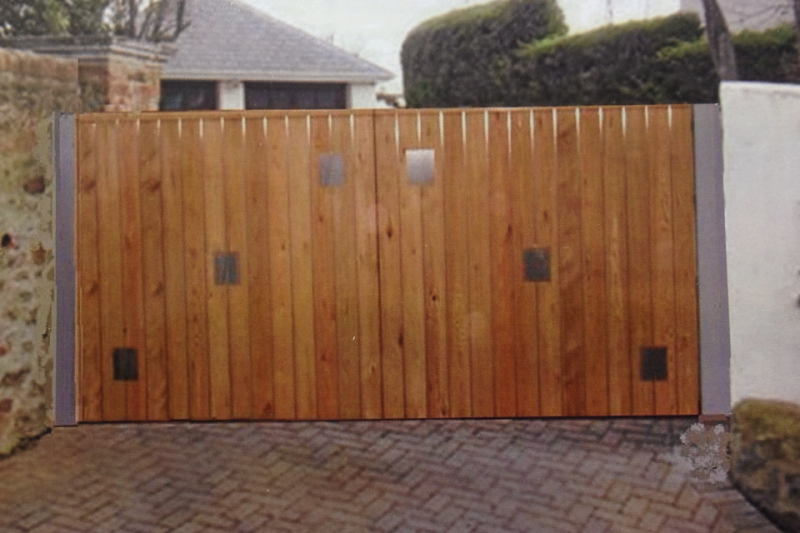 Be assured that any domestic wooden gate that has been well constructed, protected and continually maintained should provide many years of trouble free service. There are a wide variety of different gate styles with ample scope to provide a totally unique design. Wooden gates are generally constructed from the many different types of hardwoods such as Iroko, Oak and Teak although some people have chosen to have their gates made out of softwoods such as spruce, pine or fir in order to reduce the material cost of their gate project. Some of our more "popular wooden gates" now encompass wrought iron surrounds and fixing that provide additional structured support and look fantastic. Most wooden gates are constructed as swing gates, with either a single or a double gate leaf. Typically the gate leaves swing into the property although it is possible to swing the gates away from the property provided there are no circumstantial restrictions, such as the gates opening and causing an obstruction of a public highway.